Frank Zingrone is an editor of The Essential Marshall McLuhan (1995) and of Who Was Marshall McLuhan? (1995) as well as a Canadian poet who has so far published two volumes. The author of this book (which is one of a number of recent works aiming to move beyond McLuhan) is consequently a well-qualified scholar and critic of McLuhan. As a poet, he approaches his subject with sensitivity and a strong respect for language, as well as for the written word. But before turning to the way that his vision joins that of John Durham Peters and others who stress the spiritual, psychic, and poetic aspects of any contemporary understanding of communication, it is important to realize that The Media Symplex is a devastating report on our current media-manipulated society. Zingrone's analysis lays out the way that the corporate-dominated media culture has affiliated itself with the categorical imperative of electric technologies to maximize the potential within individual electric media. This convergence is then utilized to entrance the audience to such an extent that they become helpless victims of managed modes of communication that oversimplify their society, leaving them with virtually no guide to understanding their life worlds. The very possibility of any potential vision is systematically reduced both through the manipulation made possible by electric media, but also by the effect of personal attachment to any one medium - such as TV - since an exclusive preoccupation with a single medium tends to eradicate any sense of the total complexity of their lived experience. Essentially, electric media's primary activity is to impose major simplifications of, and consequently huge distortions of, reality. By now, it is argued, electric technology has brought about the situation in which advertising, journalism, and electric media are establishing ever new "virtualities." So rather than having what we might have anticipated as the complex world of media and electric technology, we have a situation in which these media actually generate a state of "symplexity," namely, a simplification constructed from their complex technological and formal nature. 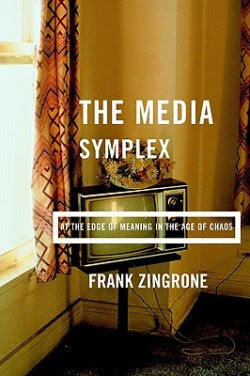 Although this might seem rather far from McLuhan's presumably amoralistic analysis, Zingrone actually is probing the dark side of McLuhan that viewed media in just such a manner. McLuhan concealed this within a mode of satiric commentary and wit used to support his avowed non-moralistic analysis. Zingrone moves beyond McLuhan in his explicit concern with the moral implications of our brave new world. Basing his argument on aspects of cognitive theory, psychiatry, aesthetics, and sometimes on the history of gnosticism and spiritualism, he builds a vision of contemporary society in which people co-operate with the media world in suppressing and inhibiting the true complexity of reality. The titles of the five chapters reveal the argument that is being unfolded: "The Media Symplex," "The Myth of the Electric," "Inhibition," "The Preconscious," "The Edge of Meaning," and an unnumbered conclusion, "Telegnosis: The Deep Meaning of the Electric Process." Zingrone's explanation of inhibition, partly borrowed from Freud, is crucial to his argument, since, in his words, "as electric media simplify human experience with increasingly complex techniques they suppress and inhibit the true complexity of reality" (p. 106). Using von Bksy's theories about inhibition - desensitization is the surest way to save ourselves from a complete schizophrenic breakdown - The Media Symplex can simultaneously demonstrate how inhibition is necessary to human survival. And by suppressing the complexity of electric media, it can eventually make reality virtually disappear. This, of course, is with the complicity of the media itself, since "most media completely sever intrusions from other modes of communication" (p. 114) for "the first effect of electric media is in-depth training of the user in sensory inhibition" (p. 115). What he calls the cartoon effect sets in, since the nature of these media is to "promote crude one-dimensional thought in a multi-sensory mode" (p. 119). In The Media Symplex, the preconscious is a crucial concept, a version developed from Schelling's, Fichte's, and Freud's use of an analogy withthe photograph in explaining the relation between the unconscious and the preconscious. The preconscious plays a central role as the source of suppressed materials or peripherally remembered events such as those experienced in dreams. But it also operates in the interests of inhibition, serving as a repository for that which is being suppressed. Zingrone illustrates the negative operation of the preconscious through advertising. "Advertising is already in preconscious form" (p. 178). So it is possible to conclude that "Advertising for all its entertainment value is mainly the pseudo-ideational, pseudo-symbolic presentation of pseudo-events" (p. 179). The only way out of the contemporary dilemma is to bring the unconscious, the preconscious, and the conscious mind together in active interplay, a function which Zingrone argues is best achieved by poetry and music. Surely this is an argument that McLuhan would have endorsed. It is the balance of preconscious and unconscious in Coleridge's theory of creative imagination and fancy that must be invoked in this conflict with our addiction to inhibition through one-dimensionality (p. 248). To achieve this balance, Zingrone articulates two principles concerning form and content. 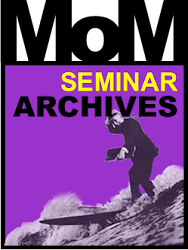 First, to have useful knowledge of forms (and hence media), "It is necessary to consider both the form of the medium as well as the form of the content"; and second, there is a form/content relationship that governs all media: "Content consumes form." How could The Wizard of Oz, Gone with the Wind, or La Dolce Vita be imagined apart from the medium's form, which has entered and become fused with the content (p. 246)? His discussion of these relationships clearly shows why an understanding of modes of cultural production (including art and poetry) is crucial, since new aesthetic forms are created in response to a new medium. What matters is transcending the electric trap in which the one-dimensional media viewer is caught. The Media Symplex argues for a new "gnosis," essentially a Platonic "telegnosis." McLuhan, who was immersed in poetry, the arts, and the history of communication through the history of the liberal arts and the trivium was himself "fully aware of the deep hermetic, or gnostic, base to communications theory" (p. 253). McLuhan's fascination with conspiracy theories is also noted. Not surprisingly, the importance of McLuhan's reading of Finnegans Wake is stressed as a way of confronting his role as "a Catholic of the future, yet esoteric in the knowledge of the true Church" (p. 257). Although the spirit of McLuhan permeates it, The Media Symplex is quite distinct from McLuhan's work in its vision and some of the solutions to which it points. There are some differences from McLuhan, such as the absence of any extensive discussion of Wyndham Lewis, McLuhan's counter-balance to Joyce. But the problem of satire and comedy is crucial, for the book does not confront McLuhan's own sense of himself as a learned, Mennipean satirist, nor does it raise the role that satire might play in the envisioned potential renewal. This is even more telling, since Joyce's Wake is frequently cited as a work forcing "meaning to the edge of awareness," in the absence of the carnivalesque. The dark vision with a glimpse of escape that The Media Symplex presents fits well with McLuhan's cynical Menippean satire, but the future must find a way of synthesizing not only the conscious, the preconscious, and the unconscious, but also the everyday carnival with which the electric media play as well as a genuinely playful and comic, yet learnedly satiric, critique. Yet this book is important since it does capture the essential schizoid struggle and the deep respect for gnosis, spirituality, and art that permeated McLuhan's work and on which Frank Zingrone builds his newer vision. 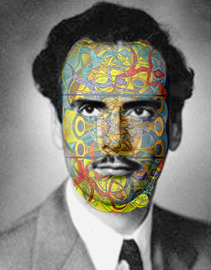 McLuhan, Marshall. (1995). The essential Marshall McLuhan. Edited by Eric McLuhan and Frank Zingrone. Don Mills, ON: Anansi. Nevitt, Barrington, with Maurice McLuhan (1995). Who was Marshall McLuhan? : Exploring a mosaic of impressions. Edited by Frank Zingrone, Wayne Constantineau, & Eric McLuhan. Toronto: Stoddart.